Plant-based diet impossible for athletes? Where do you get your protein? You need beef to get strong. You need milk to get strong bones. Often people hold misconceptions that vegans and plant-based athletes cannot achieve maximum athletic potential while pursuing their health goals. 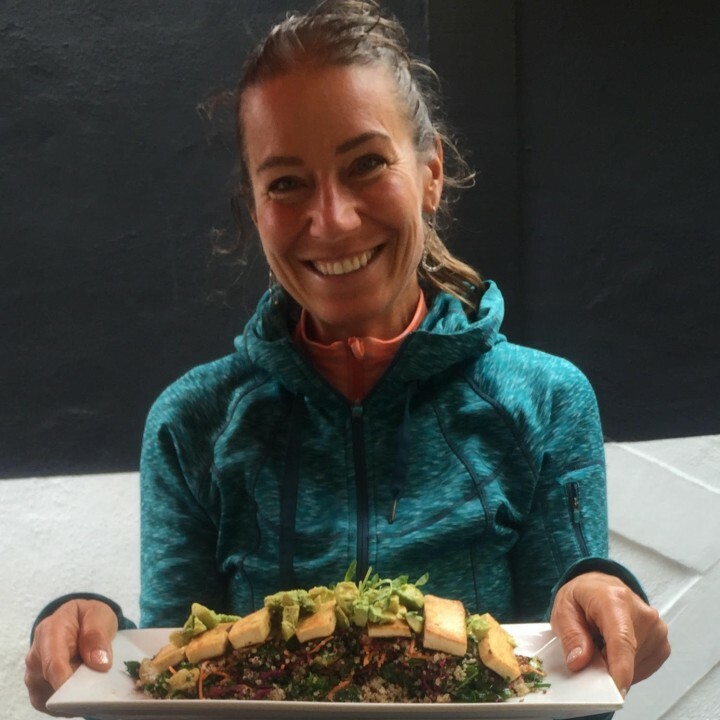 From my personal experience as a performance coach, injury prevention specialist, and a raw vegan myself, I believe it is completely possible to thrive on a plant-based diet and achieve your maximum performance AND health at the same time. Let’s start with protein because there are many myths around it. Protein are building blocks for the tissue in your body and necessary for muscle growth, strength, recovery, and healing. However, we don’t need as much protein as we think we do. The many low carb diets try to convince you that you need to eat only protein and fat, and that you need to fear the carbohydrates if you want to stay lean and strong and athletic. Additionally, the animal protein is hard on the body, creating an acidic environment, which promotes inflammation and thus slows down the healing and rejuvenation. Plant-based protein is superior for health and athletic performance. We need much less protein than we think. But… we have to make sure that we deliver sufficient amounts of carbohydrates to the body. We need the carbohydrates as a fuel and energy. If we restrict the carbohydrates, then the body will use protein for energy, and it is a very expensive business. Also, compared to carbohydrates, it is much harder on the body to convert protein into energy. You only need about 0.6 grams, and as a HARD training athlete, maybe 0.8–1.0 grams of protein per pound of your bodyweight. For me, 160 lbs female athlete, it means about 96 grams a day. Or the high range would be 128–160 grams. Getting these amounts of protein is achievable from a variety of plant foods, such as legumes (lentils, peas, beans), nuts and seeds, vegetables (did you know that many vegetables have more protein per 100 calories than animal products? ), or different plant-based protein powders. Another myth is that you have to restrict carbohydrates to get lean. Enjoy all the delicious carbs to fuel yourself for energy before training, for recovery and rejuvenation after training, and for focused brain and well-being all the times in between. Eat as many fresh sources of carbohydrates as possible. Eat fresh fruits, fresh or cooked vegetables, cooked or sprouted grains, and even legumes have great quality of carbohydrates. I personally eat about 3–4 grams of carbohydrates per pound of bodyweight. All of them come from unprocessed fresh sources. Always think of how you can nourish your body. Give your body all the vitamins, minerals, antioxidants, phytochemicals, enzymes, fiber and everything it needs from fresh plants… That is how mother nature intended it and the body knows how to digest all the natural sources. Respect your body, it is the only thing you have with you for the rest of your life. Give it nourishment and nutrients—you don’t find any nourishment in the process foods. The more nourishment, the faster you recover, you slow down aging, and you will have tremendous amounts of energy. Include freshly squeezed juices and smoothies into your repertoire, because they will deliver the most nourishment in one meal. When you are nourished, you won’t have cravings. Your body will remain lean and strong and healthy, you will thrive, recover fast, stop aging, and perform maximally, both in your business and athletic life. Give the plant-based diet and lifestyle a chance and you will be surprised how great you will feel. You will never want to come back to consuming any animal products. If you would like to learn more how to transition to a plant-based lifestyle, whether you are an athlete or just a fitness warrior, or if you just want to remain youthful and aging gracefully, grab my “The Athlete’s Simple Guide to a Plant-Based Lifestyle” and enjoy your journey.